Congratulations to the Giants. They rode momentum to the sweep and out-played the Tigers in every phase, including heart and hustle. SF’s defense was brilliant. Just goes to show the importance of defense. The NL has now won four of the last five World Series, Phillies, Giants, Cardinals, Giants. **The Tigers led only once in the entire Series. That came in game 4 and lasted a total of 16 batters. **Detroit, which had the long layoff waiting for the series, never got going, especially their 3-4 power bats, Cabrera and Fielder. **Sandoval out-homered his 3B counterpart, 3-1. All three homers came in his first three at-bats. **Belt out-hit his 1B counterpart, .077 to .071. **For the first time in his life, Theriot was a DH in game 4. All he did was pick up his first WS hit this year, score the clinching run and get his second straight World Series ring. **Because of the long wait, the Tigers set up their rotation so that Verlander could start three times. Their best starting four were all lined up. Verlander lasted four innings in Game 1. **By going the full seven games against the Cardinals and having one day off before the Series, the Giants had to start their 4-5 starters, Zito and Bumgarner in the first two games and both excelled. **Cain became the second pitcher ever to win an All-Star Game, throw a perfect game and win the Series clincher in the same season. **Lincecum struggled during the season, was removed from the rotation in the postseason and excelled in relief. **Vogelsong was 2-5, 4.91 ERA with the Lehigh Valley IronPigs in 2010, released by the Phillies that July, signed with the Giants on 1/11/11, won 27 games the last two seasons and was 3-0 this postseason, allowing three runs. **As mentioned in an earlier blog, Pat Burrell is a Giants scout which means he now has three World Series rings (2008, 2010 and 2012) on two hits. Free agency started on Tuesday. Clubs have three days in which to pick up options they may have on players which means more players will be available. Clubs have five days in which to make a qualifying offer (one year, $13.3 million) to any of their potential free agents. If the player refuses and signs elsewhere, the club acquires a compensation selection in next summer’s draft. If the team doesn’t make an offer, there’s no compensation selection. General Managers will have their annual meetings in November and then baseball’s annual winter meetings will take place in December in Nashville. The hot stove season will be heating up. Tampa Bay 1B Carlos Pena is a free agent after hitting .197, 19 homers, 67 RBI. “There are few men who can do what he does in a bad season; that’s a good season for a lot of players,” said agent Scott Boras. Two Phillies prospects, 3B Cody Ache and C Tommy Joseph, have been selected to play in the Arizona Fall League’s Rising Stars Game this Saturday night. MLB Network will televise the game. The Phillies first spring training game will be February 23 against Houston, which is now in the American League. That’s only 116 days away. **International League—RHP Tyler Cloyd, #19 ranked prospect. **Eastern League—C Tommy Joseph, #10; 3B Cody Asche, #17; RHP Jonathan Pettibone,#19. **Florida State League—LHP Jesse Biddle, #10; LHP Adam Morgan, #12. **South Atlantic League—3B Maikel Franco, #16. **New York Penn League—SS Roman Quinn, #3. The shock? No Darin Ruf. Several Phillies minor leaguers are playing winter ball in the Arizona Fall League, Venezuela, Dominican or Mexico. Six Phillies scouts are following the Arizona Fall League. Each scout is assigned to one team: Howie Freiling, Dave Hollins, Jon Mercurio, Craig Colbert, Roy Tanner and Del Unser. **Pat Burrell got a World Series ring with the Phillies in 2008, Giants in 2010 and perhaps again this year as he is a scout for San Francisco. Come 2014, some team should hire him. **Doug Glanville, former centerfielder and current writer and broadcaster with ESPN, has started his own website: www.DougGlanville.com. **OF Sam Thompson was an outstanding power hitter with the Phillies in the 19th century. A profile of him now appears on www.phillies.com/alumni. **One of five National League players to have a Triple Crown is Phillies Hall of Fame outfielder Chuck Klein, winning the batting title, home run title and RBI title in 1933. **Two Phillies pitchers have won the Triple Crown, Grover Alexander and Steve Carlton. Check out the new feature on www.phillies.com/alumni. How many Phanatic dangle hats were sold at Citizens Bank Park this season? Answer can be found in the Phillies Insider blog on www.phillies.com. **Giants pitchers have driven in a run in four straight postseason games, including last night’s World Series opener. **They hit the fewest home runs of any postseason team but hit three last night, all from a player who never ever hit three in one game, Pablo. **They pounded Verlander for five runs in four innings last night. In his last seven starts, including the season and postseason, he gave up a total of five runs. **Zito wasn’t even on their 2010 postseason roster but has won his last two starts this postseason. Are the Giants hot or what? Summary of Phillies 2012 season, by the numbers………. Baseball has its own terminology, especially when it comes to broadcasters. Suppose a man from Mars arrived on Earth for the very first time. (Don’t know how he got here; just go along with the story). While lying in his hotel bed in Jupiter (Florida, that is), he turns on the TV and starts to watch a game called baseball, something that doesn’t exist on his planet. What do you suppose he thinks when he hears the announcer say? To those of us who occupy Earth and listen to a lot of baseball games, these descriptions are quite normal. To the Martian, he has to wonder. Now that you’ve read this, you too must wonder. Well, sometimes in writing you have to think out of the box. 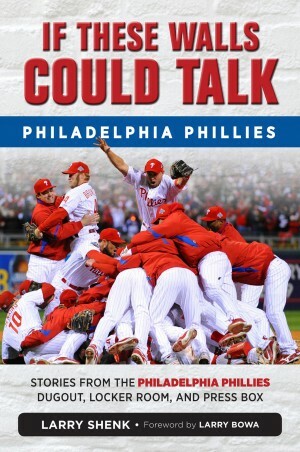 Reflecting back on the 2012 season, the one I’ve labeled, “the season of disbelief,” it reminded me of another such season in Phillies history. 1976-77-78 we won the eastern division crown and failed to make it to the World Series each year. (There was only one round of postseason play before the Series back then). During the winter meetings in 1978, we had the biggest free agent signing, Pete Rose, $3,225,000. He was the missing link to get us to the World Series. Leader, Mr. Hustle, plenty of postseason experience with the Reds. Fresh from back-to-back 101 win seasons in ’77-78, we finished fourth in 1979. Late in that season, Danny Ozark was replaced by Dallas Green. The elusive World Series title finally came in 1980. **The Reds hadn’t lost three in a row at home this season until the NLDS. **The Giants have hit the fewest homers among the postseason teams yet they hit three in one game in Cincinnati to win a game. **The Giants starting pitching, supposedly their strength, has struggled but they are now 1-1 in the NLCS. Last night was the first time their starter lasted into the 6th inning. **Without Pujols and Furcal, the Cardinals keep on winning, including a giant come-from-behind clincher over the Nationals. Twice they were down to their last strike and yet won that game. **The Nationals, owners of the most wins in the league, saw their season end in disbelief. **The Orioles had won 16 straight extra inning games and were 76-0 after the eighth inning until they ran into the Yankees. **Ibanez is the first player ever to hit three homers after the eighth inning. **The Yankees can’t hit. Cano leads the way with 2-32. **The Rangers, in the World Series the last two years, were eliminated by the Orioles in the wildcard playoff. Adam Greenberg and Fred Van Dusen have something in common. They are the only players ever to be hit by a pitch in their lone big-league at-bat. It happened to Greenberg seven years ago while with the Cubs. Van Dusen, 1955 with the Phillies. The Marlins brought Greenberg back during the final game of the season to pinch hit. They also flew in Van Dusen and his wife for the special occasion. There’s a great story in www.phillies.com/alumni about these two guys. Check it out. Today, closer Jack Baldschun, 76 and catcher/broadcaster Tim McCarver, 71. A reminder you can follow the day-by-day adventures of Phillies postseason history and fondest postseason memory of Alumni on www.phillies.com/alumni. Phillies Insider will take a short break. Will start twice-a-week posts during the offseason starting on October 16. More frequent posts are always possible. Thanks for you your support all season. During September’s rankings, Phillies Insider was 11th among the top 50 MLB Pros category of blogs. All the credit goes to you for checking in on Phillies Insider. Hopefully, you didn’t fall asleep two often. Meanwhile, check www.phillies.com/alumni for photos and features on Phillies Alumni. What a finish to the regular baseball season. Now, the fun starts for 10 teams. 20 others are home. The new second wildcard has changed the postseason experience we’ve come to know. The two wildcard teams in each league meet in a one-game playoff on Friday, which is different. The normal follows: best-of-5 Division Series, best-of-7 League Championship Series and best-of-7 World Series. What’s good for baseball is that there are six new teams, granted two coming from the additional wildcard. Unimaginable and improbable are the Orioles and A’s. Orioles were 10 back of the Yankees on July 18, caught them Sept. 4 and tied them 10 times in September before finishing second. Not bad for a team that made 178 roster moves and used 25 different pitchers. A’s held sole possession of first place for one day when they won the final game. They have five rookie starters, starting something like 104 times. They hit .238 as a team put can pound the ball. So, here’s a capsule of the 10 postseason teams with reasons why to root for and against? Yankees: Plenty of postseason experience. Can the bullpen hold up? Numbers: 245 homers led the universe. Led AL with 45 comeback wins. Ex-Phillies: OF Ibanez; RHP Garcia. For: Ibanez, looking for his first ring. Jeter is a class person. Against: Losing to them in 1950 was a childhood blow; losing to them in 2009 was a senior citizens blow. Tigers: Gigantic 1-2 punch in Cabrera and Fielder (74 HR, 247 RBI). Ankle of 16-game winner, Scherzer? Numbers: Fewest wins (88) of postseason clubs. 89 homers by other than Cabrera/Fielder. Ex-Phillies: OF Berry, once a Phillies minor leaguer. For: Another ring for Leyland. Numbers: Led the world with 808 runs scored. Allowed 707 runs, most of any postseason team. Ex-Phillies: RHP Oswalt, CH Maddux. For: Deserve to win after losing last two World Series. A’s: Who are these guys? Trailed Texas by 13 on 6/30. Can momentum continue? Numbers: 53 wins by rookie pitchers, ML record. 3rd AL worst 111 errors. No postseason experience but they are white-hot. Ex-Phillies: LHP Blackley/OF/1B Moss, played at Lehigh Valley one time. For: Because they are the underdogs. The franchise once lived in Philadelphia. Orioles: Top closer, plenty of power. Starting pitching? Numbers: 29-9, 1-run games; 75-1, leading after 8; 16-2, extra inning games, winning last 16. Against: Still bitter about the I-95 World Series loss to them in 1983! Cardinals: Lost Carpenter/Pujols/LaRusso but reached postseason. Their worst day is Friday, 9-17. They play at Braves on Friday. Numbers: .271 team average, 4th best in MLB. Biggest inning is 1st, 115 runs; 58 wins when score 1st. Ex-Phillies: RHP Lohse, CH Mabry. For: Always liked the city. Great baseball tradition. Against: Still remember what they did to the Phillies a year ago. Nationals: Most wins in baseball, 98. Bullpen and playoff experience? Numbers: NL’s lowest ERA, 3.33 ERA. Led NL East 165 of 175-day season. Ex-Phillies: OF Werth, LHP Gonzalez, MGR Johnson. For: Teddy Roosevelt finally won a race. Against: Natitude slogan. Marketing plan: take over their park and keep Phillies fans out. Braves: Strong, experienced bullpen. Starting rotation? Numbers: Scored 700 runs. Gave up 600. Ex-Phillies: OF Bourn, RHP Durbin, CH McDowell. Reds: Strong bullpen. RH bats vs. Giants RH starters? Numbers: Among postseason clubs, scored the fewest, 669, but allowed the fewest, 588. Ex-Phillies: 3B Rolen, INF Valdez, INF Cairo. For: Dusty Baker deserves a ring. Giants: Great starting pitching. Can they score enough runs? Numbers: 82-2 leading after 8 innings. 103 home runs, fewest in NL. Ex-Phillies: OF Pence. Burrell, a scout. For: Another Bay Area World Series with A’s, but without an earthquake. Against: Winning pennant on our turf in 2010. Prediction: Reds beat Yankees, 4-2. An Amtrak charter train brought the Phillies back after Wednesday’s loss which ended a season of disbelief. **Cliff is one of only three pitchers in major league baseball history (since 1900) to strike out 200 or more and issue 30 or fewer walks. He finished with 28 walks, 207 strikeouts. Other two: Roy Halladay, 30-219 in 2010 and Cy Young, 29-200 in 1904 and 30-210 in 1905. **Yet, Cliff finished 6-9 as the offense scored 76 total runs during his 211 innings. That’s 2.5 per start. **Offense produced 683 runs, fewest since 668 in 1997. **Ruf drove in all five Phillies runs in the final series. Last RBI other than Ruf: SF by Domonic in 8th inning on Sunday in Miami. **To qualify for a batting title, 502 plate appearances are required. Only J-Roll had enough plate appearances to qualify. **J-Roll and Chooch share the club RBI lead with 68, fewest for a leader since Von Hayes (73) in 1990. **8th inning was a sink hole for Phillies pitchers. In 162 8th innings, they issued 80 walks (matching the Cubs) and allowed an NL-high 24 home runs. **When Brummett relieved in the 9th inning in the finale he became the 8th to make his major league debut with the Phillies during the season, the most since 16 in 1996. Brummett was 12 years old then. **Starting eight for the season finale contained only two players who were with the club on opening day, Chooch and Pierre. Ruiz was the only one in the starting lineup back on April 1, no foolin’. Four of the eight from that game didn’t finish the season with the Phillies (Polly, Shane, Hunter and Galvis). **2013 season starts in Atlanta on April 1, no foolin’. BJ did a job as a fill-in starter. If he, Diekman, Aumont and DeFratus can master the strike zone, look out. That would be a young, impressive and deep pen. Offensively, Ruf has driven in all the Phillies runs in the last three games against the Nationals….a three-run double in Philly last week, a two-run triple on Monday and his first two-homer game on Tuesday. The rest of the bats are limping to the finish line. 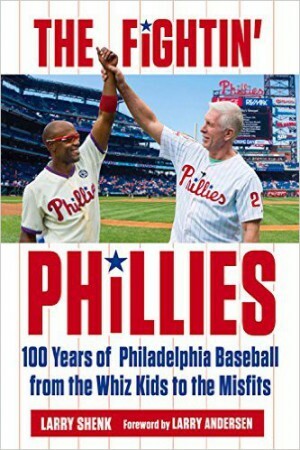 For the second time in club history, the Phillies will have 10 seasons of .500 or above, 1975-1984 and 2003-2012. Each of those spans produced five NL East division titles, two NL pennants and one World Series title. Cliff closes out the season Wednesday afternoon. He’ll be making his 30th start, is sixth in the league in strikeouts and ninth in ERA and he’s going for just his seventh win. That pretty well symbolizes the Phillies season of disbelief. SS Roman Quinn has been named the third best prospect in the New York-Penn League by Baseball America. In his first pro season, he led the league in runs (56); triples (11) and stolen bases (30). The 19-year-old is currently in Clearwater in the Florida Instructional League program. Ryne Sandberg will be a special guest at the Hall of Fame’s fifth annual Character and Courage Weekend on the October 5-7 weekend. Sandberg will share his insights on the game, participate in a clinic for young athletes, and visit Cooperstown-area schools to talk to students about the Museum’s new Be A Superior Example program. For Alumni postseason memories, check out www.phillies.com/alumni. Monday night was one of those strange situations. The Phillies won the game but lost their reigning title as NL East Champions. On the other hand, the Nationals lost the game but won the NL East when the Braves bowed in Pittsburgh. Guess it was payback for the Nationals. Of the Phillies five NL East clinching games, three were against the Nationals. Got to give Davey Johnson and his team credit. They took over the division lead early and didn’t fade. Just puzzling that Monday night wasn’t a sellout. Had the Phillies been battling for the east, Phillies fans would have easily made it a sellout. KK, hit hard by Washington last week (five runs, two innings), was brilliant, seven shutout innings. Twice with a runner on third and two out, he got a strike out. He’s solidified a spot in the rotation next year. Then, the young arms in the bullpen closed out the Phillies 11th shutout, nine coming on the road. The experience DeFratus, Horst, Rosenberg and Aumont picked up this year bodes well for the future. The offense scored on Ruf’s two-run triple in the second inning and then was shut down. The last 13 batters went down in a row, eight by strikeouts. So, the Phillies run of five straight postseason appearances has come to an end. Everything has an end. It isn’t easy to win five times in a row. Five is impressive but pales in comparison to the Braves’ 14 straight. That, my friends, may never happen again. While the Phillies won’t be playing October baseball, there are plenty of postseason moments that will appear on www.phillies.com/alumni. Plus, Alumni recall their fondest postseason memories. October 2 2008 NLDS #2 at Citizens Bank Park: Shane Victorino hits a grand slam home run off CC Sabathia to cap a five-run second inning that lifts the Phillies to a 5-2 win and 2-0 lead over the Brewers. 2011 NLDS #2 at Citizens Bank Park: Phillies grab a 4-0 lead after two innings but the Cardinals come back against Cliff Lee to win, 5-4, and even the series at 1-1.